Mike Brown's Planets: Land ho! Something more on this particular picture, is that it is of a fairly easy to find star in the sky. This lets me (a planetarium presenter) tell the laymen that hey, we have a picture of a planet around this particular star. It's one thing to say (and we do) that we have found lots of planets around many stars, but another to say that we see a planet around Formalhaut. I'm going to enjoy pointing that out at the next star party as well. Lots of people have no idea that we have found a lot of exoplanets, this gives me a good visible reason to talk about them. Mike, I agree it is important to be excited despite the inevitability of the discovery. It is a major landmark on the way to developing a full catalog of the planetary systems around us. That one of the discoveries was made by Hubble, which (I assume) was not designed with exoplanet hunting in mind, makes it even more remarkable. Outside the bounds of our solar system, this type of discovery is the future of space exploration for at least the next century or two or three, so it's vital to keep the public engaged in the support of the planet-finding missions ahead. While it might not be much need for a Hitchhiker's Guide to the Galaxy yet, it is certainly high time we start to compile the Encyclopedia Galactica. Really ? And what about this one ? The search for extrasolar planets is a fascinating story. It is, of course, a major acheivement of the intellect of man. I think there's a good object lesson in the history of the detection of these objects of our curiosity. Most extrasolar planets have been discovered by the Doppler shift technique. Doppler investigated this by, among other things, hiring a band to play on a passing railcar. Geoff Marcy and Paul Butler made the invention that made detection of other stars' planets possible. They ran the light of the star they were examinig through a gas cell to absorb certain frequencies and print a calibrated stationary spectra on the star's spectrum so that the Doppler shift could be measured accurately. They tried all kinds of gases in the cell, including a deadly WWI nerve gas, which was rejected for obvious reasons. When it was finally perfected, they published it. And they started looking for the extrasolar planets. Their method was very sensitive and they could detect analogues of Jupiter and Saturn so that's what they looked for. Didier Queloz and Michel Mayor picked up on the invention and set about discovering whatever showed up. One day they stepped back to look at the whole program and asked themselves, "What if there's a large signal?". They realized that their data analysis technique would miss a large signal, so they fixed that and promptly discovered several extrasolar planets. Marcy and Butler were stunned. They had been scooped! All that work and a simple adjustment caused them to lose the discovery of the first extrasolar planet. And they had invented the technique! So, of course, had Doppler. The "hot Jupiters" or "roasters" were a very important discovery that gave a disturbing answer to a mathematical problem that had vexed Laplace. Are solar systems dynamically stable? Laplace published a book-length proof that our system was, but later a graduate student went over it and discovered an error that invalidated the whole proof. The discovery of roasters and the high eccentricity of the known extrasolar planets is powerful evidence that solar systems are not neccessarily dynamically stable. Such a thing makes extrasolar life less probable. There's an observational bias here, though. You have to follow a planet through two orbits to prove that it's a planet using the Doppler technique. A randomly located alien astronomer using the same equipment would take 24 years to discover Jupiter and 52 years to discover Saturn. There's no way to rush it. So we won't know where the Sun fits in the statistical analysis of the prevelance of Solar type systems for at least 52 years. I don't think Queloz and Mayor should be castigated for a "rush to publish" because of the extreme importance of getting observational results for the stability problem. This was a vitally important discovery. As for being half the story, we won't see the other half for years so we should enjoy the existing discoveries now for all they're worth. The rest will come later. 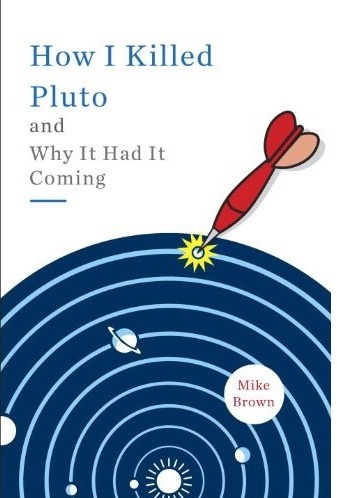 "It became a big deal culturally, as it precipitated the long-discussed downfall of Pluto..."
Here's a suggestion from a writer. When talking to reporters, how about being honest when discussing an issue still very much under debate as opposed to portraying one side as the only view and the issue as a done deal, when it is not. I went to the link you provided and I see it is by S. Alan Stern, Principal Investigator for the New Horizons mission to Pluto. And he does give us this piece of honesty: "I myself am a partisan in this debate." I guess there are some of those still around. Dr. Stern had a tough fight getting funding for his spacecraft and felt that calling Pluto a planet would help him in that regard. There were $650,000,000 at stake and a bunch of jobs so I suppose one can't get too hard on him for that. He's got a point, though, from looking at the dynamical disasters we've discovered so far it is beginning to look like in other solar systems, some planets clear other planets out of thier orbits. It looks like roasters are clearees, so do you not call them planets because they lost the orbital dominance food-fight? Most likely in these cases the other object got thrown out of the system to journey through cold space alone. Such a thing would truly be a "wanderer", which was the original Greek definition of a planet. I like the classification system used in our own Solar system right now just fine. Pluto is a "clearee" so it fits in an entirely different classification than Jupiter. But I must admit that kind of falls apart when viewed in the light of exoplanetary discoveries. Right now, with the serious observational biases of exoplanet surveys, it's kind of early to establish any kind of classification scheme for these objects. In the meantime, I think the IAU definition makes it a lot less confusing when talking about places closer to home. mikeemmert: Which classification scheme are you referring to when you mention you like the one being used for our solar system now? My point is that there isn't only one classification scheme currently in use--there are several competing ones. I'm not sure what you mean by a "clearee," but my point is that there are many planetary astronomers who use the criterion of hydrostatic equilibrium as the determining factor in whether or not an object is a planet. Yes, Stern is partisan, but so is Brown, so are all who have studied this issue and take strong positions on it. That is my point. New Horizons is already launched, so it doesn't make sense to attribute Stern's position to funding and jobs. I heard him speak at the Great Planet Debate in Laurel, MD, this summer, and it's clear he genuinely believes in hydrostatic equilibrium, and the resulting geological processes and differentiation it causes on celestial bodies such as Pluto, as the defining factor in determining what is a planet. I disagree that the IAU definition makes things much less confusing when talking about our solar system. No one would put Jupiter and Pluto in the same class regardless of the orbit clearing issue. In fact, Earth is much more similar to Pluto than to Jupiter. We can easily distinguish the 13 planets in our solar system (under the hydrostatic equilibrium criteria) by dividing them into terrestrial planets, gas giants, ice giants, and dwarf planets. The IAU definition makes things more confusing because it says that dwarf planets are not planets at all, defines objects solely by where they are rather than what they are (Earth in Pluto's orbit would not be considered a planet), and uses the fuzzy term "clearing the neighborhood of its orbit," which if applied literally would preclude every object in our solar system, including Jupiter, from being classified as a planet. The classification scheme I'm refering to is the IAU classification where there are eight major planets in our Solar system. They cleared their orbits because they were massive enough to do it. A "clearee" is one of those objects that got cleared out of another planet's orbit. Pluto got cleared out of Neptune's orbit. Yes, there are a lot of planetary classification systems out there, if you remember the old TV serial "Star Trek" had one of those. At the time it was believed that the Sun was a typical star and that other stars must have planetary systems similar to our own and that life must be very common in the Universe. So planets were classified according to what kind of life-forms populated it. That classification system is no longer used. But they are still showing reruns. And people are still enjoying them even though modern cellphones are much more capable and flexible than the then-novel communications devices depicted on the show. I would like to point out to you that the IAU is still calling Pluto a planet, except they add the term "dwarf" in front of it. I don't see a problem with this, after all, Jupiter, Saturn, Uranus, and Neptune have been called "gas giant" planets for as long as I can remember. At least they didn't tack on "ice" in front of "dwarf". I don't think the Star Trek example is comparable when discussing a planet classification system currently in use. Star Trek is fiction--although some astronomers have suggested appropriating its method of distinguishing among planets. In contrast, there are several planet classification schemes in use today by real astronomers (not in fiction), and the IAU definition is just one of many. Describing it as the only current one is misleading. According to the IAU definition, dwarf planets are not planets. If it were as you say, the definition would make a lot more sense. However, resolution 5b at the 2006 General Assembly, which would have included both classical planets and dwarf planets under the umbrella of planets, failed by 333-91. As a result the official IAU definition precludes dwarf planets from being classified as a subcategory of planets. This is a major reason why the IAU definition is so problematic. Mike, loved this post. Sorry the comments turned into a "what's a planet?" debate. Your final thought was enlightened. I've gotta know, did you think of that on the spot or were you holding that one in your head until the perfect moment? It's called, "Odd planet's extreme global warming: Highs of 2240". It's about a strange planet in the Big Dipper called HD80606b. It has a very eccentric orbit which alternately takes it very close to it's star, then moves fairly far away. So it is alternately broiling and, well, not freezing, but cooler. There's a bit of hype in the headline on this. People are interested in global warming here on Earth so the reporter decided to tie this story in with that. Obviously HD80606b have weather and climate totally unlike that of Earth's. What we can see as visible here (and the research was done with the Spitzer telescope, which actually views infrared) is the result of changing light levels from the star, which goes to surface heating. That's a point of similarity with Earth for sure. But the high eccentricity and close proximity to it's star should be heating the planet throughout it's bulk due to tidal forces. "The star is visible from Earth near the Big Dipper. On Feb. 14, HD80606b will travel between the Earth and its star. There's a 15 percent chance that amateur astronomers using small telescopes could see it swing by, obscuring a tiny part of the star, Laughlin said." This lucky accident of aligning a planet with it's star gives amateur astronomers a chance at making a contribution. We can find the diameter of this planet, which (since it's probably a gas giant planet) can give us some idea of how hot it is in the interior. There's one good thing about "license plate numbers". The lower case "b" in HD80606b tells us that there are at least two planets in this system. That's the only reference to this fact in the article. License plate numbers for dwarf planets at this time tell you only the date of discovery. It takes luck for these acronyms to make a pronouncable word, like 1992 QB1 which lent it's name to "cubewanos". With the chaos visible in this new system, I am beginning to fear that chaos rules in the Universe as a whole and that most other systems may be so chaotic that any kind of classification system is doomed :0 .